Each year, it is hard to remember how to light the Chanukah candles. Here are two helpful video guides which answer the questions that many of us have every year as to how to light the Menorah. 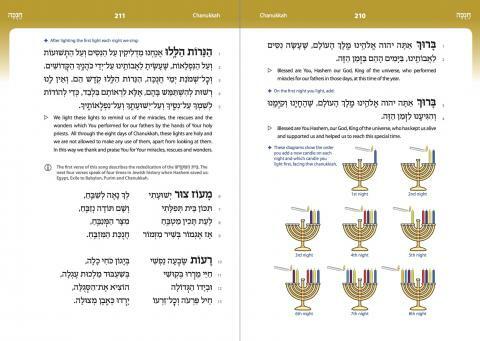 Below the videos there is a transliterated version of the Brachot for lighting the Chanukah candles. This first video is a brief (under 2 minutes) guide showing the correct direction to light the candles along with the associated Brachot. This second video is a longer exploration of Chanukah candle lighting featuring some interesting ideas as well as a full rendition of Moaz Tzur. Hanairot Halau anachnu madlikin; al hanisim ve’al ha-teshuot ve’al ha-niflaot; sheh-asita la’avoteinu, al-y’day cohanecha ha-kedoshim. Ve-chol sheh-monat ye-may Chanukah; hanairot halalu kodesh haim; ve’ayn lah-nu reshut lehistamiash ba-hem el’ah lir-otam bil-va; ke-day le-hodot le-shimcha al nis-eh-cha ve’al ye’shu’ateh-cha ve’al nif-leh-ot-echa. 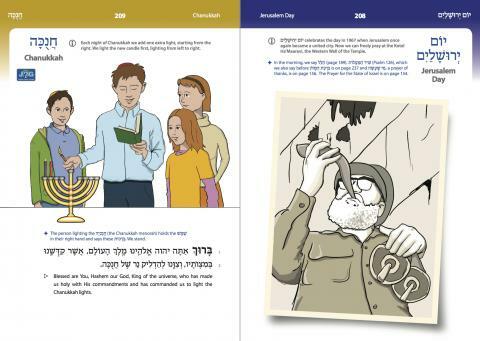 Ma-oz Tzur yesh-ooh-ati, le’cha nah-eh le-shah-bay-ach; tikon beit tefilati ve-sham todah ne-zah-bay-ach; le-ait ta-chin mat-bay-ach, mi-tzar ham-eh-nah-bay-ach; az egmor be-shir mizmor, chanu-kat ha-miz-bay-ach. Ra-ot sahv-eh-ah naf-shi, be-yagon ko-chi cha-lah; chay-ay may-re-ru be-kooshi be-shibud malchut eglah; uv-ya-do ha-ge-dolah, ho-tzi et ha-seg-ula; chayl par’o,ve-chol zah-ro, yar-eh-du ke-even metz-ula. Deh-vir kod-sho heh-vee-ah-nee; ve-gam sham lo shah-ka-te-ti; u-va-noh-gais ve-hig-lah-nee ki zah-rim ah-vad-eh-tee; ve’yayn rah-al ma-sach-ti, ki-mat sheh-avarti; kai-tz ba-vel Zeh-roo-ba-vel, le-kaitz shiv’im noh-shah-tee. Keh-rot koh-mat beh-rosh bi-kaitz ah-ga-gi ben ha-meda-ah-ta; veh-niy-ah-ta lo le-mok-aish vega’av’ato nish-bah-tah; rosh ye-mee-nee nih-say-tah ve’oh-yayv sheh-moh ma-chee-tah; rov bah-nav ve-kin-yah-nav al ha-aitz tah-li-tah. Yeh-vah-nim nik-betz-oo ah-ly az-aye bee-may chash-mah-nim; oo-fah-rehtzu choh-mot mig-dah-ly veh-ti-me-oo kol chash-mah-nim; oo-mee-noh-tar kan-kan-nim nah-ah-sah nais leh-shoh-shah-nim; beh-nay vee-na yeh-may-sheh-monah, kah-veh-oo shir ur-nah-ah-nim.